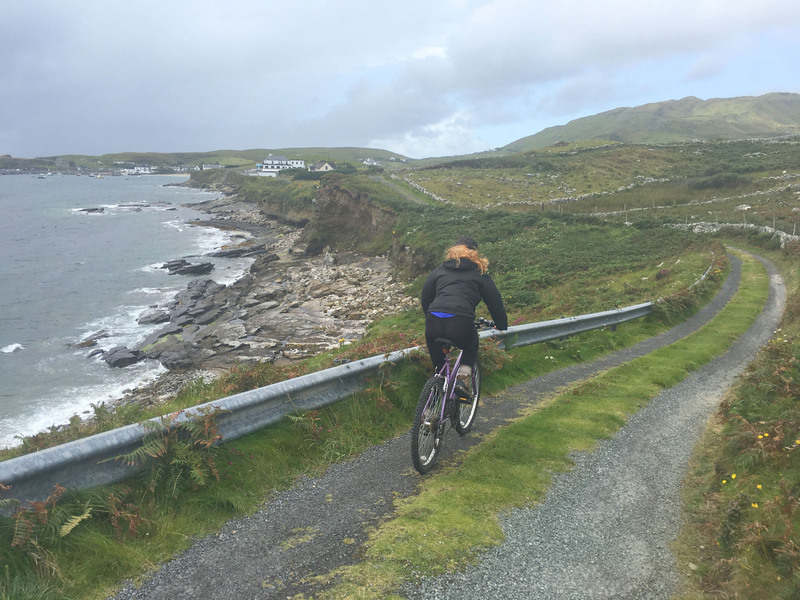 Irish Confession: We love the west coast islands of Connemara to truly explore the Irish countryside by the sea, and witness island life. 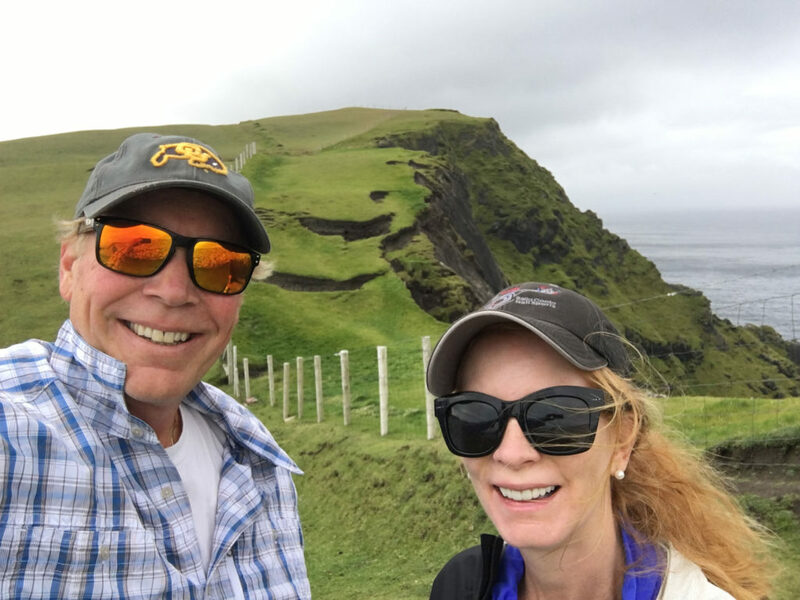 On Clare Island, you can experience the luxury of living a slower pace, with sheep wandering amid stone walls, boats coming and going from mainland Ireland, and centuries’ old traditions of fishing, and gathering at local pubs at night for Craic and fresh caught fish, crab and mussels. 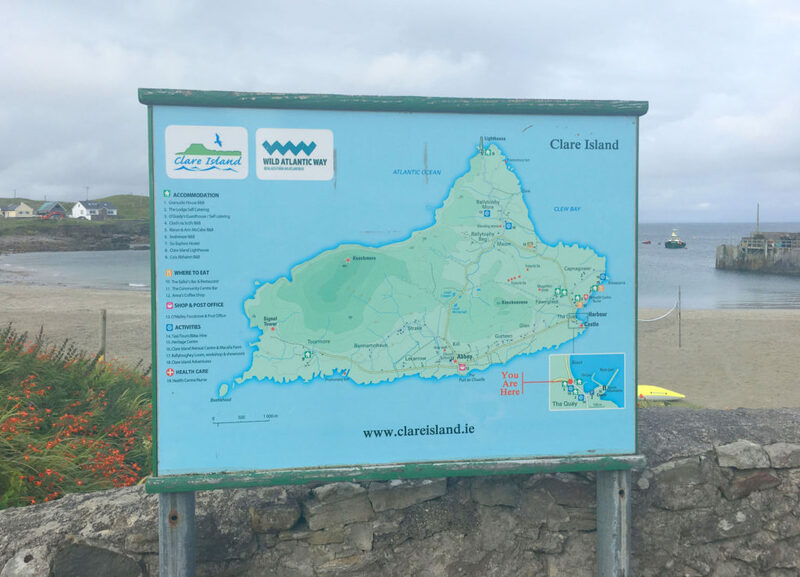 Clare Island is among the quietest of Irish west coast islands, reached 5-kilometers from Roonagh by ferry. 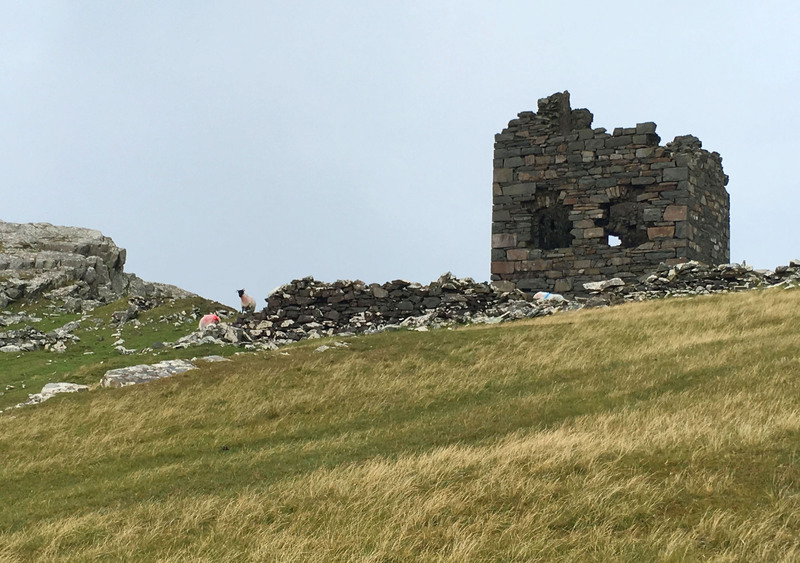 We rented bikes to tour around the 13 kilometers of island coastline, heading first out to the Napoleonic Tower, now ruins, this requires some hiking through rough stony pastures when you reach the end of the navigable bike trail. 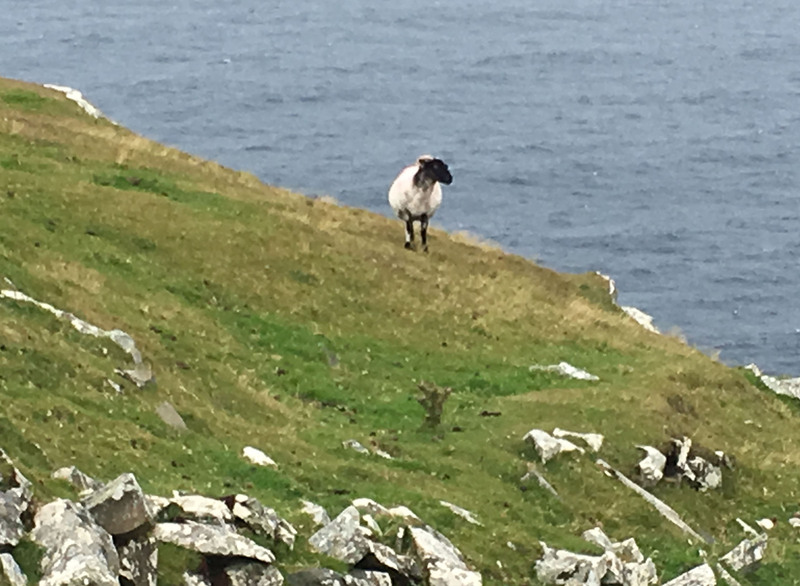 The views toward Inishturk Island, the cliffs, fields of heather line with stone walls, and the grazing sheep, are “grand” as they Irish say. 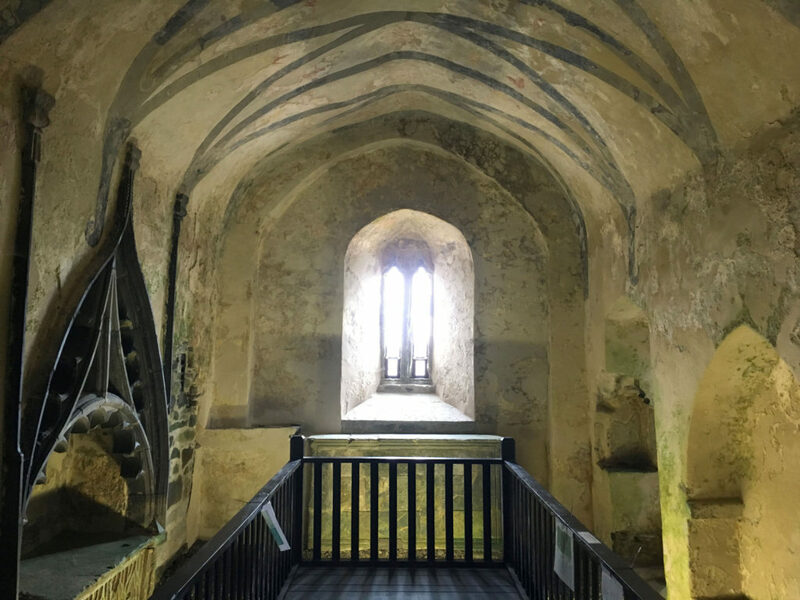 Visit the 13th century Abbey on your tour back toward Clare harbour, and crane your neck to admire the ancient hieroglyphics and paintings on the church ceiling. Grab a snack at O’Malleys market next door, the only store on island, you’ll wonder as we did why the market is so far from town and the ferry docks. 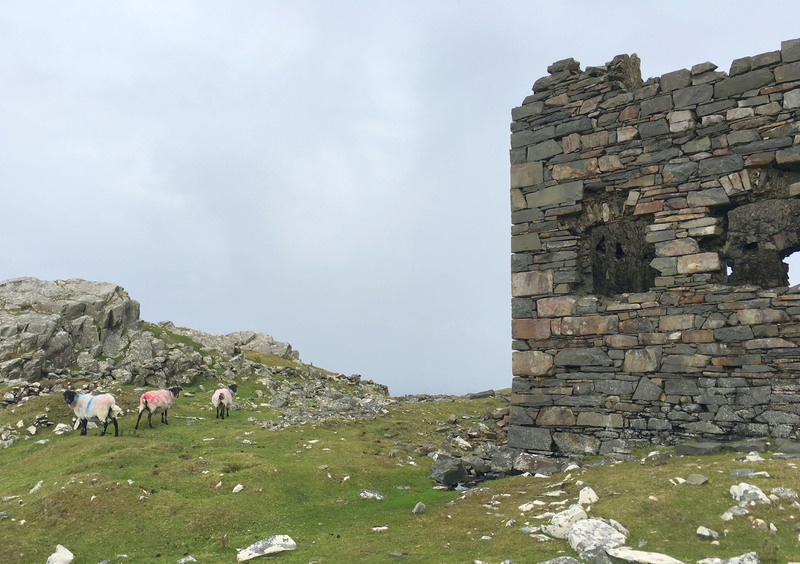 Clare Island is famed for its O’Malley family, most notably 1600s Grace O’Malley, the Pirate Queen and first female Irish tribe leader, “Chief commander of thieves and murderers at sea”. The island is rich with Pirate Queen references and pride. 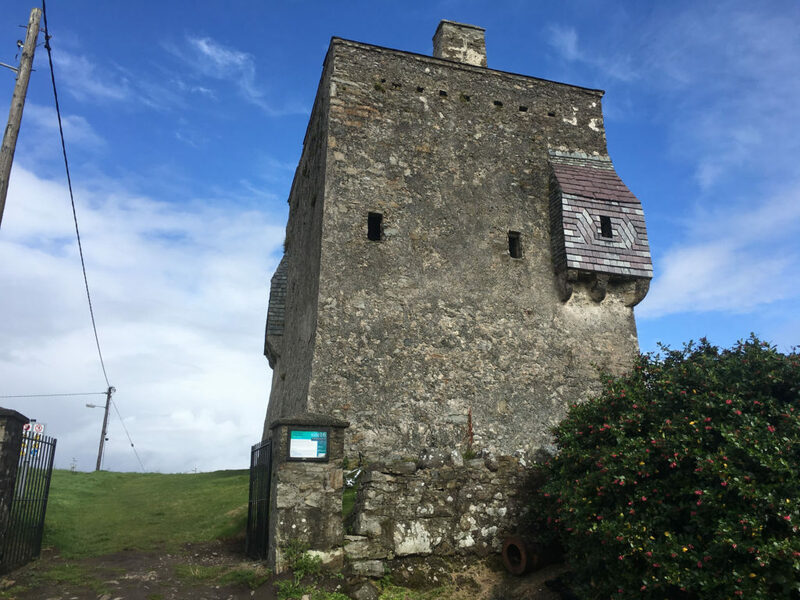 Visit Granuaile’s (Grace in Irish) Castle by the ferry dock. 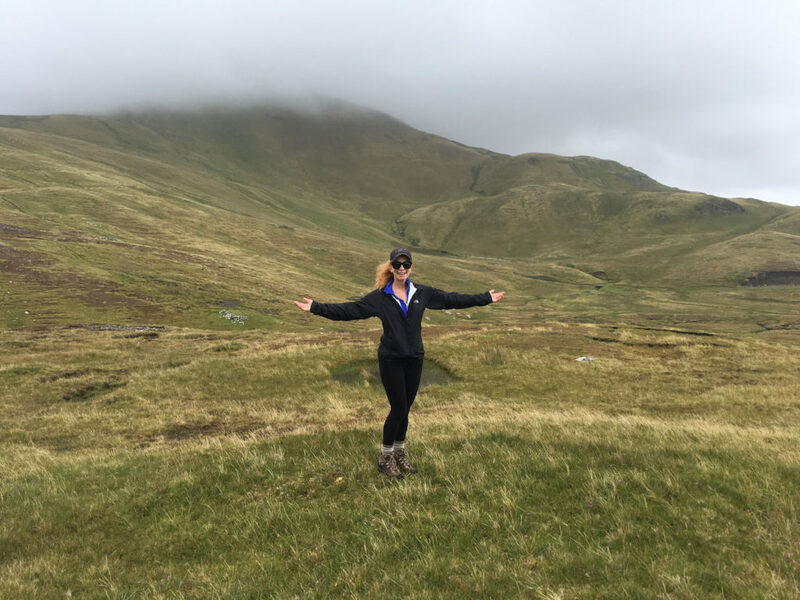 Grace’s story is amazing, ask a local to elaborate over a pint in the pub. 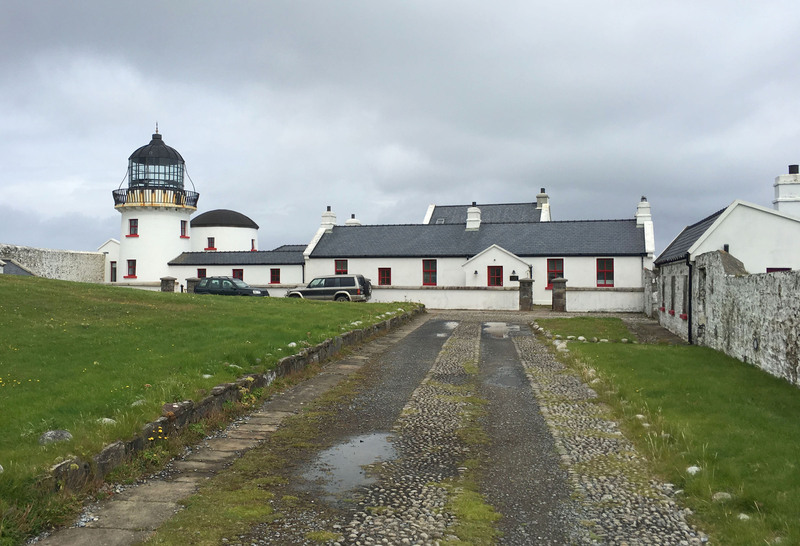 Ride your bike to the 1806 Clare Lighthouse, all the way to the eastern end of the isle. the Lighthouse is now a private inn, on your return to town, stop at the loom to see handmade wool scarves and knits. Return to town and Sailors Pub for a waterfront lunch of salmon or crab. This is THE place, or the Community Center (ok, there are two places to dine on island). 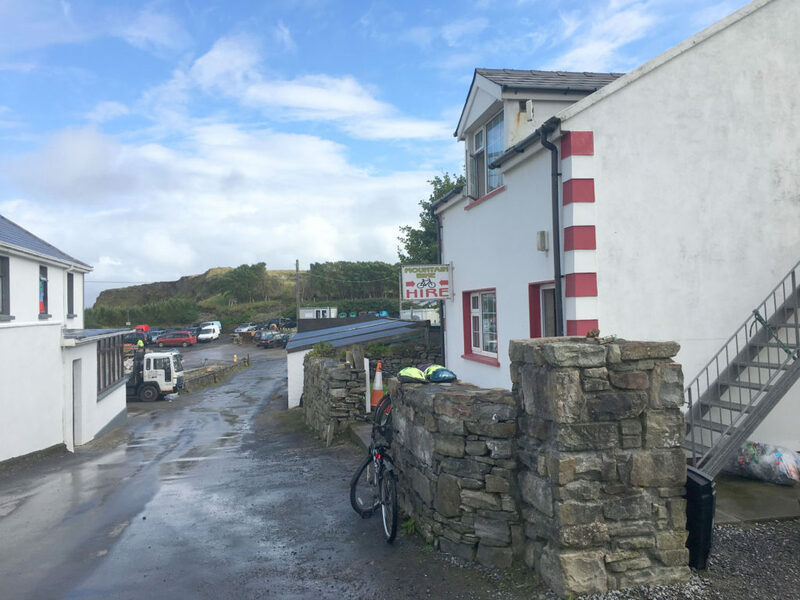 Clare’s “Community Center” actually has a bar – The Anchor… only on a small island do you have a pub in the family community center. 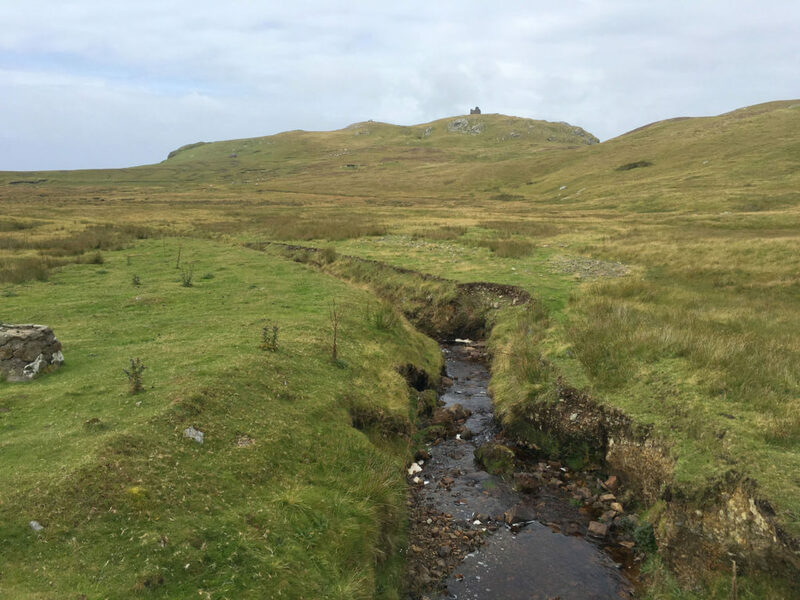 An ambitious 3-hour hike to Clare Island’s peak, 1500’ Knockmore requires a clear day and rewards you with stellar views of the Bay. 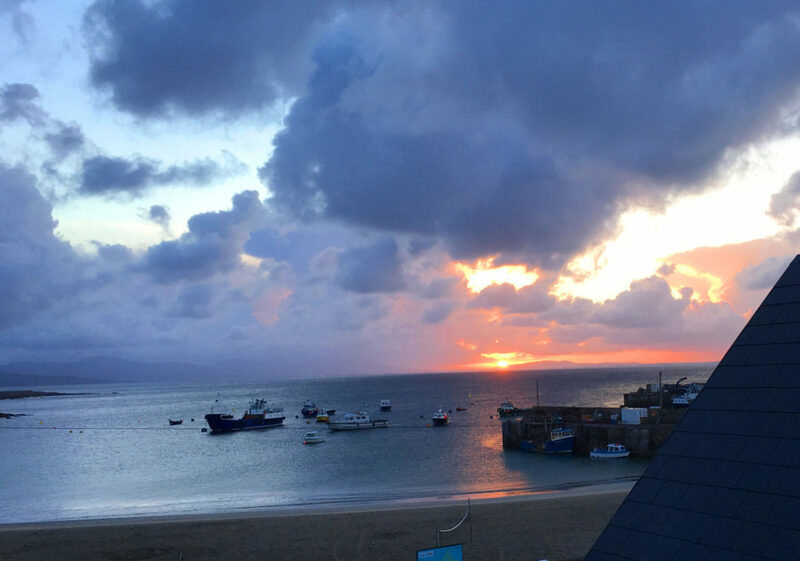 Evenings on Clare Island, after the ferries depart, everyone heads to the Anchor Bar or Sailors Pub (only two gigs in town) for local mussels, fish and chips, a few pints. The Craic that starts late on Clare, at 10-11pm. 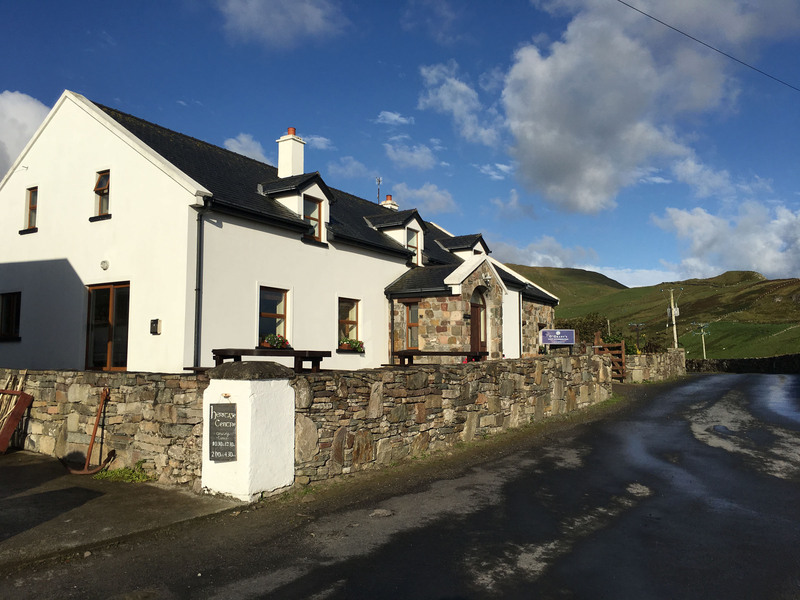 We recommend lodging overnight at O’Grady’s, near the ferry and the castle. Helen O’Grady is kind and proud of her island of 140 people. Her Irish breakfast in the morning was delicious before we boarded her husband’s ferry, O’Grady’s Pirate Queen, for the short scenic ferry ride back to mainland. 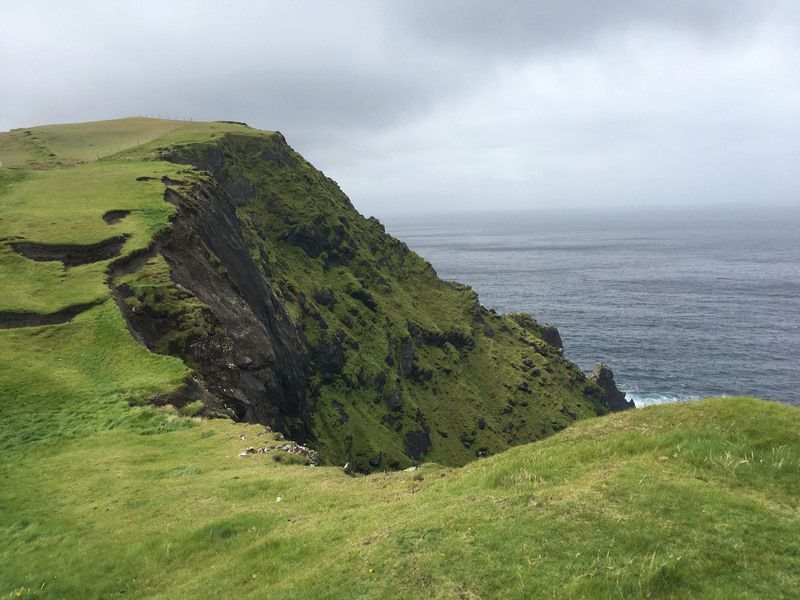 Irish Islands can be peculiar, same goes for the inhabitants – which is what makes “island life” such a luxury to explore and experience for a day or two – then return to civilization as we know it. 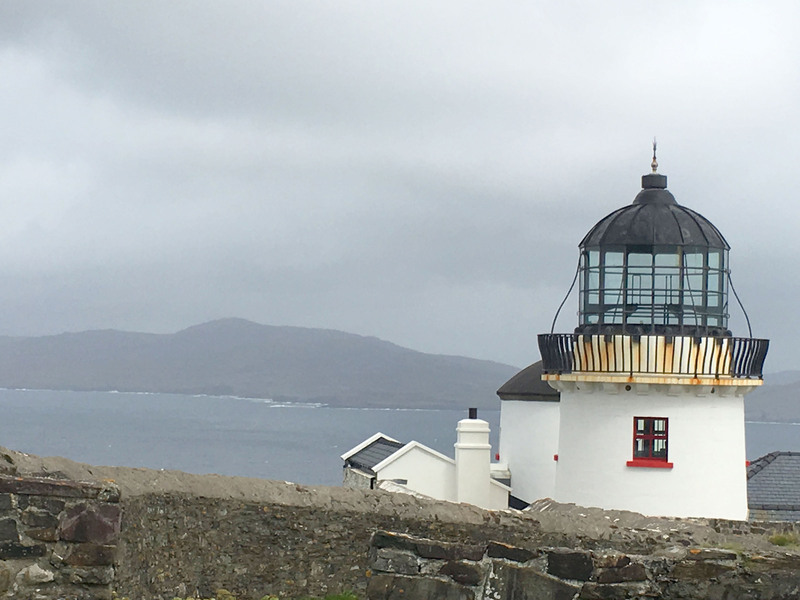 Of the other West Coast islands of Ireland, we review Inishbofin, the Aran Islands of Inis Mor and Inis Oirr. 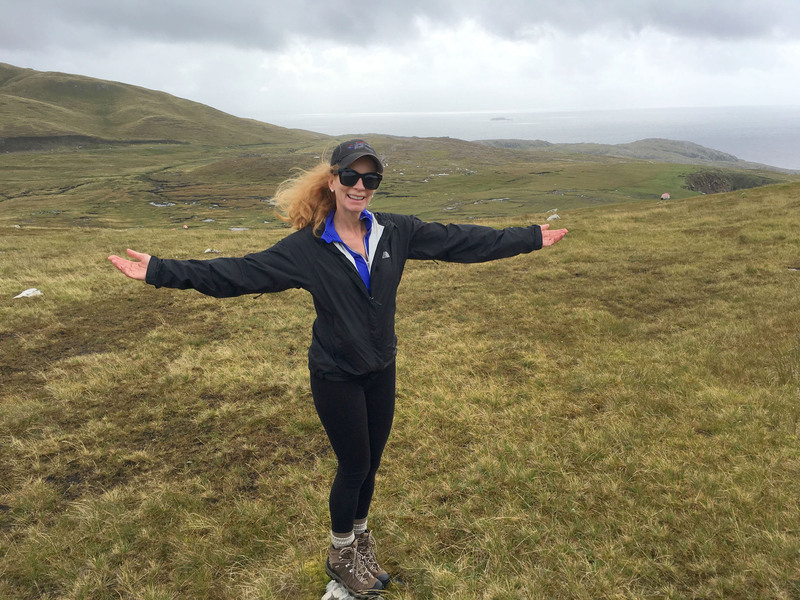 We have yet to visit Inishturk, the Blasket Islands and other Irish isles…. 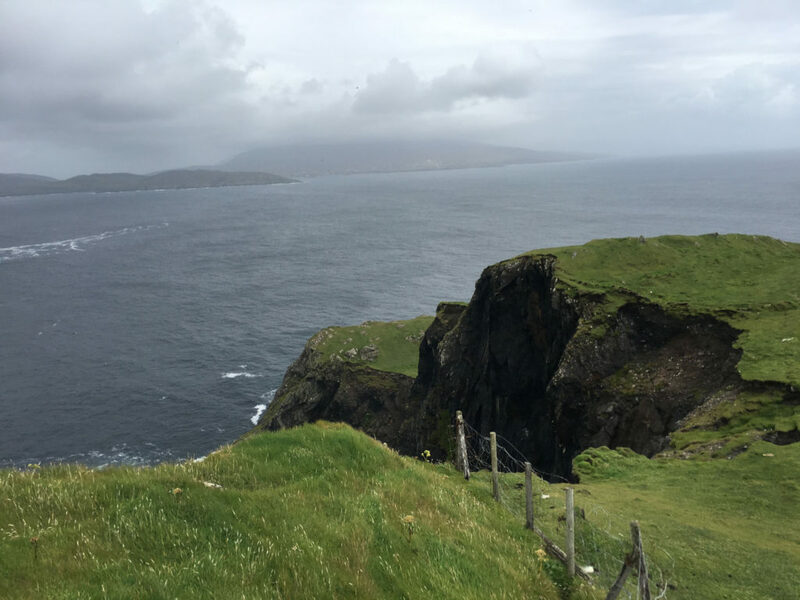 If you have visited a great Irish island, let us know, we’d love to hear your firsthand travel reviews.